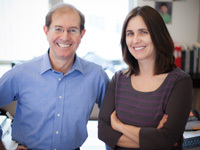 Professors Silvio Micali (l) and Shafi Goldwasser (r) Turing Award Recipients in 2013. This week, Stephen Ibaraki, FCIPS, I.S.P., ITCP/IP3P, MVP, DF/NPA, CNP, FGITCA has an exclusive interview with Silvio Mical. Silvio Micali, the Ford Professor of Engineering at MIT and a Principal Investigator at the MIT Computer Science and Artificial Intelligence Lab (CSAIL), is a recipient of the Gödel Prize from ACM SIGACT and EATCS. A Fellow of the American Academy of Arts and Sciences, the National Academy of Sciences and National Academy of Engineering, he is the recipient of the RSA Mathematics Award, the Berkeley Distinguished Alumnus of the Year Award, and the ISE (Information Security Executive) New England Rising Star Award. Micali is the editor (with Franco Preparata, Paris Kanellakis, Christoff Hoffmann, and Robert Hawkins) of a five-volume series of textbooks, "Advances in Computing Research", and has published more than one hundred scientific papers. A graduate of the University of Rome with a degree in mathematics, he earned a Ph.D. degree in computer science from the University of California, Berkeley. :00:54: When did you hear of this extraordinary honour, recipient of what is widely considered the Nobel Prize in Computing, the 2012 ACM Turing Award? How did you feel at the time and what was the reaction from your colleagues and from your family? "....I felt good and I felt good in particular to have won it with Shafi. We were graduate students together, we worked for many years, overcame many difficulties even multiple rejections of our work before we got an award....My colleagues were very happy....I felt overall it was very positive and my family was ecstatic...."
:03:30: How will the Turing Award impact your work, your influence and your thinking? "....On one side we should strive for absolute true novelty, but on the other side we should strive (at least I do strive) also for universal recognition....They can be antagonistic and in the short-term if you desire universal recognition it means you have to work on problems that everybody perceives to be important, in other words with the requirement of pursuing a more established, conservative line of research. What do I hope from the Turing? It takes care of some of the desire for recognition and leaves me free to go on a limb and take more scientific risks to explore new wildernesses so to speak....We work very hard to increase our reputation and my peers will continue to judge my work according to strict standards and they are right in doing so...."
:05:56: What are your life goals you want to achieve and how will you achieve them? "....It is so personal that if I answer truthfully I will be a little bit enigmatic. My goal is essentially one goal and that is to understand the world and to be understood and in my mind it is quite the same. How to achieve it?....You need the combination of supreme confidence and supreme doubt...."
:06:56: Silvio talks about what led him to co-write one of the most influential papers in computer science, "Probabilistic Encryption", as a graduate student in 1983? "....If you want me to outline the story of that work, I'll tell you it is a tale of fearlessness and shameless luck in and around everything combined...."
:17:30: Can you provide additional details behind your approach, the simulation paradigm? "....I remember when I was a kid I got an acute attack of classic solipsism, which is a fancy word to say that I started being fearful that there was no outside reality, it was all in my head, that I was alone and the world was a product of my imagination. It lasted only a few days....What impressed me at the timen is I remember distinctively how impossible it was to break the symmetry, to decide which was virtual and which was real. If I could not distinguish the real from the virtual, then in what sense could they be considered different? Somehow that thought stuck with me; fast-forward a few decades and now we have the simulation paradigm...."
:24:33: Silvio describes his notions of encryption security, for example semantic security and indistinguishability and how these measures must be met for schemes to provide security across the wide range of cryptographic applications. "....What we figured out is we actually developed computational indistinguishability as a pool to prove semantic security. We proved if we have the system which was computationally indistinguishable, that implied that it was actually semantically secure. Then we proved that the opposite was true, semantic security improved computational indistinguishability and there were other notions that we proved to all be equivalent to each other for this notion of security. This is the most reassuring thing that can be in science when you try and describe a new object and you go from one avenue to another avenue and to a third avenue and all these avenues become absolutely equivalent...."
:31:30: Overall, how did your work revolutionize the study of cryptography and lay the foundation for the theory of cryptographic security? "....Now we are dealing with scientific systems with the notion of security embedded and all these reductions. I believe that bringing proofs and replacing heuristic proofs and having these very sophisticated apples to oranges reduction was our contribution to the field...."
:35:28: Can you talk about your work with knowledge complexity, "zero-knowledge" proofs? "....The zero-knowledge proof is one that reveals only that the statement is true, without having any other pieces of knowledge to it. The question is how can you tell that nothing else has leaked? In some sense that is another application of the simulation paradigm because essentially you wanted to prove a theorem in a way that if somebody knew beforehand that the statement of a theorem was true, then he could reconstruct the proof you give to him in exactly the same way in which you provided it...."
:40:12: What are the implications of this work? How does this work extend to other domains? "....In a cryptographic protocol in an economic transaction you want to have both correctness and secrecy....If I can control the amount of privacy that I lose and I can confidently enter into many more transactions...that is an enabler not only of business transactions but personal transactions as well....At this point from just encryption, cryptography has become a science of adversarial computing and adversaries are everywhere. Because adversarial computing is so pervasive and allows us to model so many things there are many, many domains to which this work may apply...."
:45:40: How does your work address important practical problems such as the protection of data from being viewed or modified, providing a secure means of communications and transactions over the internet? "....We want a more stringent notion of security, we want signatures that are unlearnable, and that is crucial if you really want to have a theory of things that cannot be modified over the internet, and actually we do have a signature scheme with this property developed already...."
:50:59: What is the impact of your work on computational complexity? "....Proving a theorem is a most frustrating thing. They are frustrating to write down, they are frustrating to read and somehow interactive proofs actually transform this frustrating thing into a game with a prover and a verifier....If we very quickly interact (say) 100 times and you see that I win 100 times in a row, then the best explanation is that the theorem is actually true. This is important because you want to figure out which problems are efficiently proven and which are not, so interactive proofs are one impact of this work on complexity theory...."
:54:27: What are your thoughts about things like quantum mechanics and the twin particle effect and the impact it's going to have perhaps on your field? You see the work of Judea Pearl on causality and counterfactualism and external validity and artificial intelligence. Do you see some kind of connection between some of the research you've done in those areas at all? "....Let me address the more dangerous to my field, which is quantum computing. We need hard problems to base cryptography on. We want to take a purely computational problem, purely mathematical problem and actually use it to massage it around and transform it by magic in a very human problem. Of course what is easy computation and what it hard computation depends a lot on the computational model...."
:56:39: What are the practical applications and implications of your work influencing our daily lives? "....A simple example is one of a password....That would be the most practical application I can think of...."
:01:00:29: Can you additionally profile your extensive research history, its lasting impact and some valuable lessons you wish to share from your top research areas that we haven't talked about yet? "....My lesson would be: get rid of the details as much as possible, generalize your problem as much as possible, back up and then back farther up until you see the whole picture in its simplicity...."
:01:03:27: You've talked about your past research and you've also talked about some of the other areas that you have researched. Can you get into more detail about your current research interests? "....Somehow at a late age I came up with the beautiful notion that was put forward about a century ago by an economist, which is mechanism design. Essentially this is a way to choose an optimal outcome without data...."
:01:04:56: What are the broad implications and applications of this current work? "....In principle any decision maker, in particular any politician, would stand to benefit from mechanism design. If you really want to go one step farther that would be the best way to engineer a system like the internet that is very decentralized in which no one is in charge...I would not be surprised if mechanism design were to provide us with key insights for understanding existing and successful biological systems....."
:01:06:17: What are your future research interests? "....If you stress future the answer is the brain...."
:01:09:17: What are your most difficult challenges in research and what valuable lessons do you wish to share? "....My challenges are the inability to work alone and lack of knowledge. The lessons I would share are the same ones I use to cope with my challenges - collaboration and imagination...."
:01:10:03: Every time you get a cohort together you are going to get a lot of discussion and different points of view, so what would you describe as additional areas of controversy in the areas that you research? "....The main controversy, not only in my research area but in any area is the very definition of an area. Defining an area is both necessary and useful to focus an effort for future work, to flush out the problems, to attract fresh minds, etc., but it's always a constraint, a boundary that may always incarcerate us so we have to be very careful....I'm saddened by the fact that journals and conferences publish a disproportionate amount of small but declared big advances from the status quo. I believe that the incentives are misplaced and we can and must do better and never find a way to restrict any area...."
:01:16:07: Describe the types of research being created or updated that will drive our experiences in five or ten years? What will this experience be like — paint a picture for our audience? "....Frankly my prediction for future research can only be based on what I know so I expect more and better of the same....I look forward to more surprises and I must confess those I cannot anticipate...."
:01:16:46: Silvio talks about specific challenges in his education at the University of Rome and then Berkeley which were catalysts to inflection points in his lifetime of contributions and how and why this happened. "....I'd really like to give credit to the great educational systems both in Rome and in Berkeley and to the people behind them — they really shaped me. Both universities and in particular specific teachers had been very flexible, and this for me really shaped my attitude towards research...."
:01:41:00: You had this very unique kind of program both at the University of Rome and at Berkeley where people have given you some agility and as you indicated some flexibility. Now do you pass that on in terms of your interaction with your students and so on? Has that influenced your interactions with potential researchers? "....Absolutely it has influenced. The extent that I actually succeed giving back what I received I don't know but I certainly try, and I have my own rigidity to worry about of course. But you bet I try to be as flexible as my teachers have been to me...."
:01:42:18: You've worked with your colleague Shafi for some time and anytime you collaborate with someone sometimes there can be tension. How do you manage that tension or if you disagree on something? "....The best thing is not to manage and somehow tension gets resolved. Tension is good....When you are pulled in two directions I think you generate energy and long as there is goodwill this energy gets released in a positive direction...."
:01:43:58: There's this idea that came out of Stanford which got more attention back in 2011, this whole idea of Massive Open Online Courses (MOOCS). What is your opinion of MOOCS — do you see that in conflict with the traditional side of teaching or do you see it aligned with how you were mentored and the kind of support that you received in your life? "....We have to distinguish between what is good for me and what may be good for others. To tell you the truth I really believe that enabling a very large audience to get educated is something extremely beautiful and extremely useful. Ideally I would like to do this one-on-one, but if you cannot then these online courses are a very good alternative...."
:01:47:22: You co-founded the Information and Security Group — can you detail your objectives in the short and long term? "....It is to foster interest, education and research in cryptography — pure and simple...."
:01:48:03: Why are you passionate about the "Advances in Computing Research", the five-volume textbook series? "....First of all about this specific series, let me tell you right away that I'm very proud of them. They were dedicated to the randomness of computation and I believe the interplay of randomness and computation is crucial to our field. I'm proud of the confidence by its many contributors who by the way are great leaders in our field and the editor....As the saying goes, what we know is as important as how we know it and I could not agree more...."
:01:52:10: Please share your valuable experiences and lessons from your prior awards and recognitions? "....I find these are very special and motivating moments...."
:01:53:34: Silvio, you laid many of the foundational pillars in your pioneering work. Distilling from your experiences, what are the greater burning challenges and research problems for today’s youth to solve to inspire them to go into computing? "....Computation is everywhere in one way or another. The real question that I would like to know is to what extent can we use computation to understand physical, biological and social roles and can we perhaps use computation to influence some of these roles? I think these are very big questions and we need all of the manpower we can get to answer or to scratch at the answers...."
:01:56:15: To our youth, with an interest in a future of computing but without the educational foundation, how would you explain your work? "....We use computation to co-operate with others while retaining our individuality, our secrets and to efficiently convince others of what we laboriously found to be true. That is my aspect of computation that is the one I cherish and that's the one I develop. Our youth, every single one of you should find what your aspect is and develop that...."
:01:57:11: What specific qualities make you excel and why? "....The ability to convert emotions into science....Creativity....Admiration for the past, willingness to gamble the present, and yearning for the future...."
:01:57:45: You already discussed this before when you profiled your journey at the University of Rome and at Berkeley, all these collaborators and people who mentored you and so on. Are there any additional people, past, present, and future who inspire you and why is this so? "....I already mentioned a few names, but let it be known that we are not having this conversation without the tremendous influence of many other minds and friends. Ultimately we are the people who inspire but I have a few other people who I have not yet mentioned who really should be mentioned...."
:01:59:47: You choose the topic area. What do you see as the top challenges facing us today and how do you propose they be solved? "....The top challenge as I mentioned before is solving the mystery of the brain. I really believe that to go after the opportunity, education is going to be crucial. Now we have two challenges: the brain and education. If I can go on a limb and mention another challenge (that I think is more of a psychological challenge), it is living outside our planet very soon...."
:02:04:51: Over your long and distinguished career, what are your top lessons you want to share with the broad audience? "....I really think power is really the symbiosis of opposites. I believe our emotions are our ultimate power and that nothing boils down to one thing...."
:02:05:37: Silvio, with your demanding schedule, we are indeed fortunate to have you come in to do this interview. Thank you for sharing your substantial wisdom with our audience.